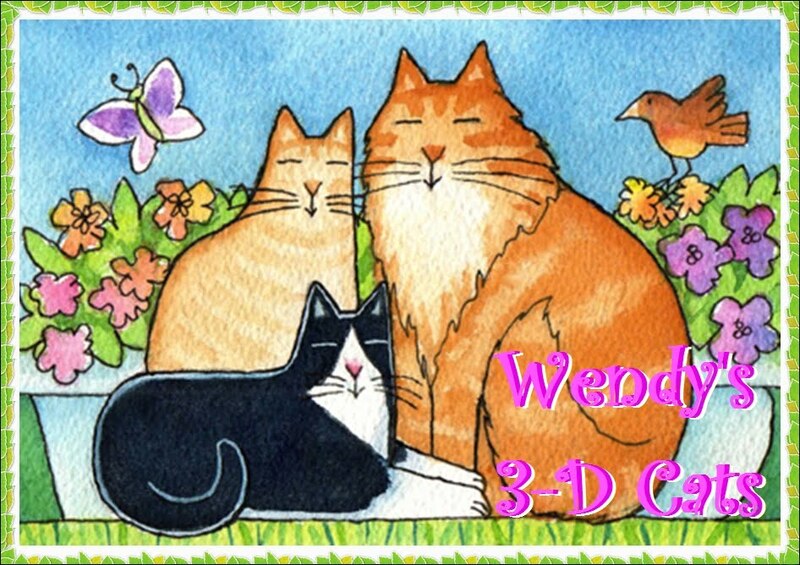 Wendy's 3-D Cats: DYLAN KEEPS AN EYE ON THINGS! 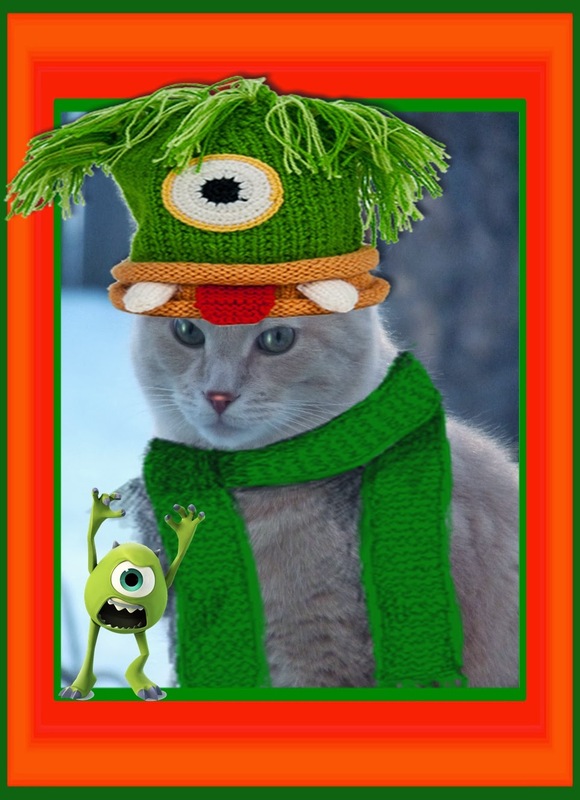 Dylan's feeling quite secure in his one-eyed green monster hat. Of course it helps to have the real thing (the one-eyed green monster, that is) as your bodyguard. If anyone tries to hurt Dylan, he'll make a big scene. "Ackshully, wunce I seen yoo I kwite likes yoo! ", says Eye.